I consider myself an Intermediate Level knitter. While I still have to reference How-To videos, books and articles, I am learning new techniques and comprehending more of the nuances to develop my skills every day. So when it came time for the last piece of the Dealla Cardigan to knit (the cabled edging) I understood what had been left unsaid. Instead of following the chart verbatim I adjusted for the fact that I would be loosing a row by adding an extra stitch along one side. 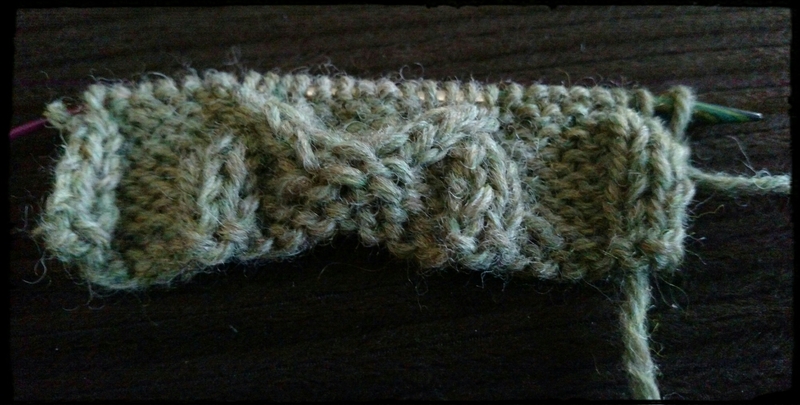 I also noted that nearly all of the comments and feedback on the pattern mentioned it fit more snugly than anticipated. So I decided this would be an easy place to add a couple extra stitches, one to each side of the cable in the purling. Still balanced and nothing I’ll have to compensate for later. I cast on for this last section this evening. 24 stitches, instead of 21. I definitely don’t anticipate it going as quickly as some of the other sections. 15 repeats of the pattern will likely take 10 days or more. Perhaps in time for St Patrick’s Day?! Previous Post What to do…What to do?